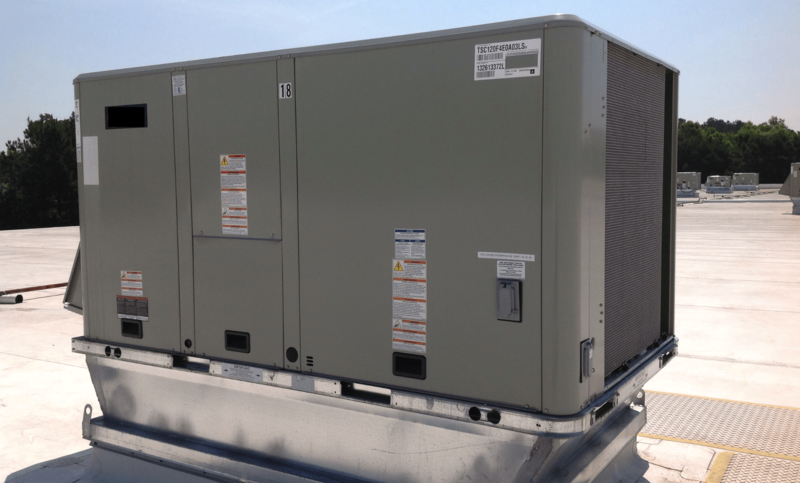 Does Your Commercial Facility Need a New HVAC System? It is easy to procrastinate on big investment decisions like replacing an HVAC system for your commercial building - especially when minor adjustments and regular maintenance are keeping your HVAC functioning relatively well. However, all facility managers in Seattle know that HVAC systems in commercial buildings do not last forever. Typically, air conditioners lose efficiency and reach the end of their serviceable life somewhere between 15 and 20 years. The same is true for boilers. While it’s tempting to let an HVAC system age out with a “wait-and-see” approach, a last-minute HVAC replacement can be more costly than a scheduled event. Not only will HVAC professionals have to fit a large job into a likely busy schedule, but you may be limited by inventory availability at the exact time of your need. Waiting until the bitter end also increases the risk of your commercial building experiencing expensive, emergency HVAC repair needs as equipment reaches the end of it’s lifespan. Comfort levels in a commercial building can be somewhat subjective, so some temperature complaints can be taken with a grain of salt. However, an HVAC replacement might be in order if your voicemail or inbox begins to fill up. Remember, airflow should be consistent and regulated to keep the building temperature consistent. Large temperature swings could indicate problems with air ducts, sensors, controls, or other commercial HVAC components. While these issues may not be indicative of an immediate replacement need, building owners should be aware of HVAC complications that could worsen over time. Aging HVAC equipment has to work harder than it should to deliver comfortable temperatures and demands more energy to make that possible. While changes in the seasons will cause ups and downs in energy bills, costs should not consistently go up. If your energy costs begin to fluctuate regardless of the weather outside, your HVAC system is likely becoming less efficient. An experienced HVAC technician can evaluate the efficiency and effectiveness of commercial HVAC systems in Seattle and explore an energy optimization plan. There are many building control systems that can improve energy efficiency and save costs along the way. If your HVAC system is more than 10 years old, it’s likely not ENERGY STAR® rated or built with high-performing equipment to help curb energy usage and costs. In many cases, the cost of a new HVAC system will pay for itself within a few years, which is a better long-term plan than paying the high energy bills that go along with aging equipment. Learn What Qualities To Look For In Your Commercial HVAC Professional. Keeping your HVAC system on a planned maintenance schedule can certainly extend the life of HVAC components. In fact, regular maintenance is the most efficient and cost-effective way to get in front of occasional repair needs for a heating and cooling system. Ordinary wear and tear is expected over the course of 15+ years and staying on a scheduled maintenance check-in reduces the chance of emergency repair as parts get worn out and need upgrades. However, even minor repairs can become expensive and take a toll on productivity when they are required frequently. An increase in the frequency of an HVAC technician coming out to make repairs may indicate the beginning of a bigger problem. An increase in the expense of repairs is also a warning sign that major issues may be on the horizon. These red flags may seem like small inconveniences, but they shouldn’t be ignored. The condition of your commercial HVAC system ties into important business KPIs like the comfort and happiness of your tenants and your overall capital budget. Don’t compromise comfort and safety or waste energy by pushing these warning signs to the wayside. They may indicate your facility needs a new HVAC system (or, at the very least, your current system needs some TLC). If you notice these issues happening to a commercial HVAC system in Seattle, or have questions about the performance of your facility systems contact PSR Mechanical today to speak to our team of expert HVAC professionals and discover the best solutions for your building.